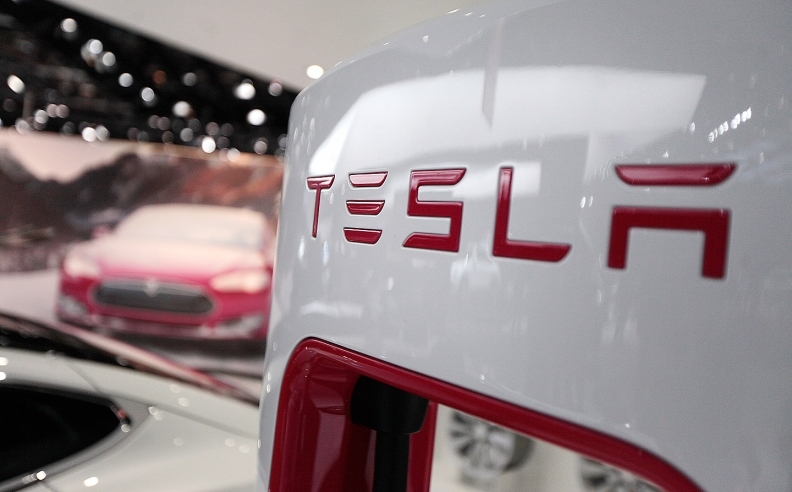 FRANKFURT (Bloomberg) -- Tesla Motors is in discussions with the German government over the prospect of building a battery factory in the country. Tesla CEO Elon Musk has been in contact with German officials and may seek state support for the facility, Economy Minister Sigmar Gabriel said. "We are in talks" with the Tesla CEO about a possible plant, Gabriel said. "I assume he will want public funds." Gabriel was speaking during an event at a Mercedes-Benz car factory in Rastatt, Germany. He did not provide details about the proposed plant or timing of a decision. A battery factory in Germany would open a new front in Tesla’s competition with former shareholder and Mercedes-parent Daimler and luxury-car leader BMW. It would also be a sign of more aggressive expansion as Tesla prepares to open its Gigafactory, its massive U.S. battery plant currently under construction outside of Reno, Nevada. Tesla has said that Germany is a key market for its household battery-storage systems. Tesla has "no current plans" to build a battery factory in Germany, Munich-based spokeswoman Kathrin Schira said, without commenting on talks with the government.